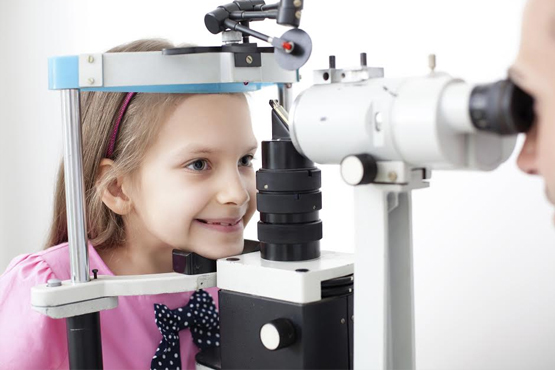 Pediatric Eye Care of Maryland is a unique private practice committed to providing complete, compassionate, and timely eye care for children and adults. We strive to create a warm, comfortable environment for our patients and their parents – one that makes a visit to the eye doctor an enjoyable experience. Drs. Dankner, Fiergang, and Andorsky are board certified ophthalmologists, fellowship-trained in pediatric ophthalmology and adult strabismus. Our eye team also includes optometrists, orthoptists, and opticians, working together in the evaluation, diagnosis and treatment of our patients. Whether your child struggles on a vision screening, shows unusual eye movements, or suffered an eye injury, we’re here for you. From glasses and contact lenses to patching and exercises, we provide the full gamut of eye care. This includes complete medical eye evaluations, as well as treatment for a range of eye problems, including amblyopia, astigmatism, myopia, hyperopia, tear duct obstructions, and many more. Many of our patients are successfully treated by in-office and non-surgical techniques. When surgery is indicated, our ophthalmologists have extensive experience in some of the most complex eye misalignment problems along with other procedures. We take great pride in being able to see emergencies and semi-urgent issues on the same day. We offer evening and weekend appointments and accept most insurances.